Home Arts & Culture Combat Seasonal Affective Disorder (SAD) This Fall/Winter With Fun Senior Activities! This fall/winter, don’t let your senior fall into Seasonal Affective Disorder (SAD), an emotional switch and slight depression that occurs a little after Daylight Savings Time. The cause of this emotional change is unknown, but there are ways that you can prevent it from getting worse of happening all together! 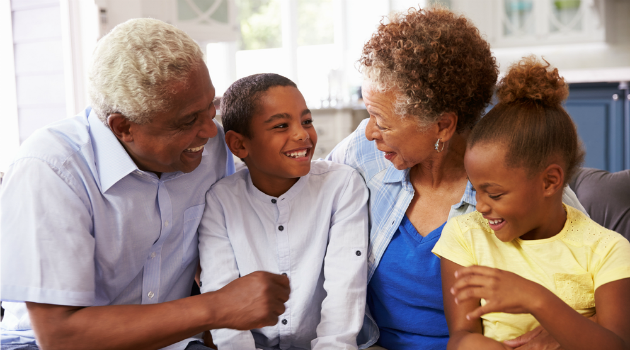 If you have a loved one that is home-bound majority of the time, make sure to spend time with her and bring over relatives (especially grandkids!) to make her laugh, share meals, and to make her feel like every day is an interesting day in general. If you are a home health aide or a care-taker, help your senior prepare for the holidays, or take your senior for a walk! Making him feel included will make him feel extremely happy! If your senior can get around, and doesn’t mind socializing with other seniors, you can always bring them to the Canarsie Adult Center, where there are multiple activities that happen Monday-Friday, every week! On Fridays, the center has a party that all the seniors get to enjoy, complete with snacks and a DJ! This season, keep your seniors in mind and included with as many family and friend activities/gatherings as possible. Seasonal depression can be beat with a little extra love and care! For more information on the Canarsie Adult Center, click here! Next PostCheck Out The One: Do Ho Suh Exhibit On View Now At The Brooklyn Museum!